When some one asks you a question, assuming its not the rhetorical type, they are inviting you to speak. Whether we realize it or not they are handing you a small bit of power. What we do with that power is up to us. Will we waste it? Will we abuse it? Will we make the most of that power? Will we refuse the chance at power and chose not to speak? If we do choose to speak, what do we say? How do we know what the right thing to say is? To often we forget that words do have power. Don't believe me? 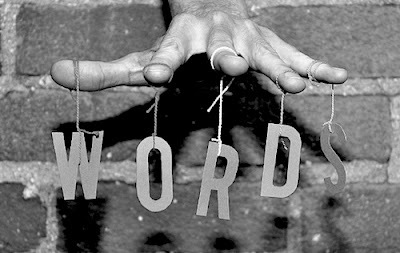 If words don't have power, then why do we use them in magick/prayer/ritual? If words do not have power, then how is it that they move us emotionally? I know I know, "sticks and stones.." blah blah blah. The fact is, words can hurt, and they can heal. Words have power. I have been asked to speak at Fresno's pagan pride day. I have accepted the invitation to speak. What words will I chose? How will I make use of the power that has been given me? While you could use it to raise an army of neopagan elven warriors, I'm sure you'll use the power to make the world a better place for all ho hear and implement your words. Congratulations Brother Druid. I know you will find some very thought provoking Words. Your words inspire me. But this reminds me of a blog post on "Silence", not long ago (do you remember? ); I am understanding now that silence can also be as powerful as the words themselves. Silence charges the batteries of the Words. Silence and action provide for the implementation of said Words.